Ken Williams, who along with his Father built speedway frames between 1979 - 1980, kindly sent in these excellent pictures of the Dave Hynes motor, which incidentally is housed in a Williams Frame. You can see more of Ken's work on the Williams Page that takes a closer look at the frame types. 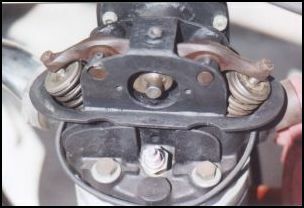 Built around 1975, this particular motor is still under restoration and is of the type that has a CB ignition timing cover fitted. There is a second timing cover which uses a Lucas magneto for ignition and Ken hopes to be able to supply a picture of this too when restoration work has been completed. 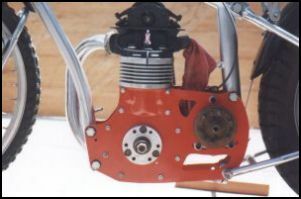 The cases are made of steel and incorporate the engine mounting plates. 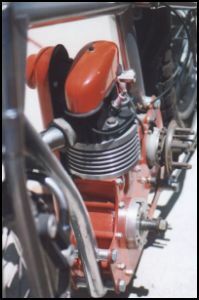 The cylinder is aluminium that houses a Jawa sleeve whilst the head is JAP converted to overhead cam. 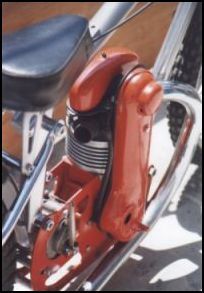 Like the cylinder sleeve, the flywheels were also Jawa. Wayne Powell, the owner of this particular machine, captures not only the beauty of his lovingly restored "Hynes JAP" in the pictures below, but also describes the differences and illustrates them on camera. (Note):Due to the Limitations of Web Space, the original images have been greatly reduced in size and do little justice to the care and attention to detail that Wayne has put into his restoration. I told you I built up a Four Stud J.A.P. in a Rotrax frame. Since then I've done further research and found out it wasn't a Rotrax frame, instead it is a Dave Hynes frame from Melbourne. It's very similar to the Erskine frame. The main difference is that the handle bars mountings are located in different positions on the top plate where the stanchions are brazed on. 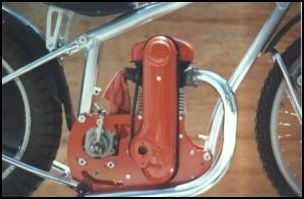 You will note that the handle bar clamps are half on and half off the Top Plate. Keith Cox from Brisbane, who rode in Edinburgh in 1949 was with Dave Hynes at that time and he identified it positively as a Dave Hynes frame. Also, the seat mounting brackets are different to the Rotrax frame.